Ofrenda artwork from last year's Día de los Muertos event at El Centro de la Raza. Photo by Leslie Seaton via Creative Commons. 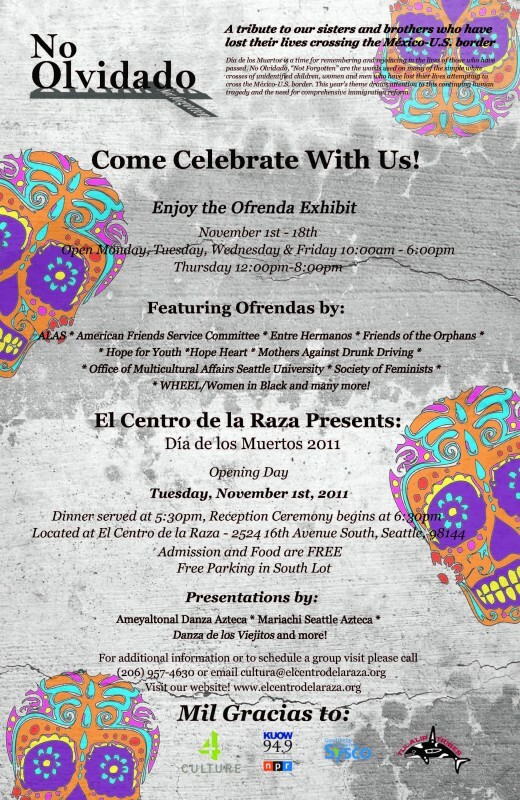 Tomorrow evening El Centro de la Raza presents their annual Día de los Muertos celebration and ofrenda (altar) exhibit. This year’s theme is “No Olvidado” (“Not Forgotten”), a tribute to those who have lost their lives crossing the Mexico/United States border. The opening ceremony is tomorrow, November 1, with dinner at 5:30 and a reception ceremony at 6:30. Admission, dinner, and parking are free. 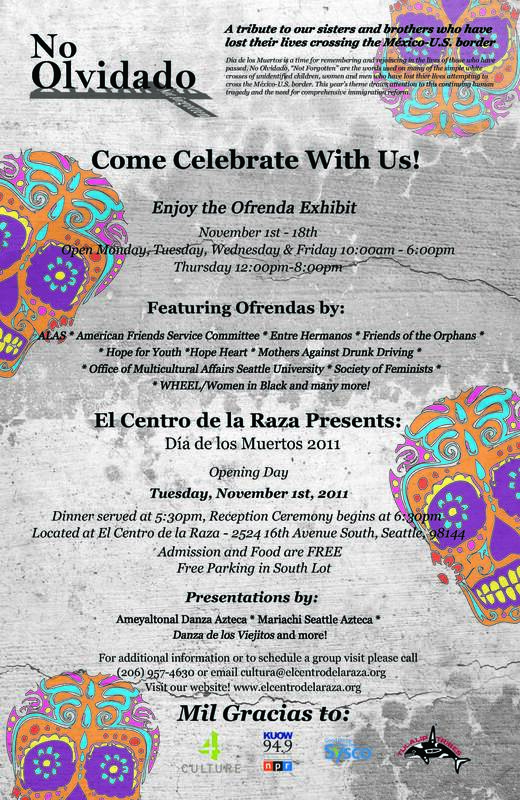 If you can’t attend the opening event, you can still visit the ofrenda exhibit from November 2-18 on Monday, Wednesday, and Friday from 10 a.m.-6 p.m., and on Thursday from noon-8 p.m.
Click to see a larger copy of this flyer.